Wow that was so serene...I loved it! Happy SITS day, you deserve it! Ahhh... I'm sure every mama can relate. But not everyone can write as beautifully as you do! Love this! Happy Sitsday! Love the poem. Beautiful! Seriously. So, amazingly written! I absolutely loved it. Kudos. And I loved the visual on the page as well. Congratulations on your SITS day! What a stunning poem! You have heaps of talent girl. That was a wonderful poem! You've captured this moment perfectly. I feel all calm and warm and cozy. Happy SITS day! That was a beautiful poem!! I love to hear rain on the roof, especially when it's time for sleep. Beautiful poem. Congrats on your SITS feature day! Loved this. Your poetry is beautiful! That was beautiful...I loved it. Happy SITS day! I'm stopping by from SITS to say hello and congrats on being FB! Happy SITS day. Love the poem! Wow, I feel calmer for having read this. MOments of peace are hard to come by with kids. Glad you chose to enjoy it this time! Happy SITS day! I wish I could write beautiful poetry. For now, it's enough just to read it. Happy SITS day! Beautiful poem! That was lovely...you are so talented with your words. Enjoying those calm moments are always great and I know we try to hang on to them as long as possible. gorgeous!! I'll assume this is not the first - have you tried to publish a book of yours yet? Enjoy your day in the spotlight! Wonderfully written! Enjoy your sits day! Just wonderful! You put into words what I've felt many times but can't put into words! Thanks! Congrat's on FB today! Over from SITS to say hello. You are such a great writer. I especially love the last two bits. Happy SITS day! The SITS gals were right. I feel my blood pressure lowering already. Quiet is a blessing, isn't it? Quiet and calm and a time to let thoughts dwindle down and relax. Lovely write. This is beautiful! I felt a quiet calm just reading it! Congrats on the feature! Love you! Love your art! Beautiful. I. loved. this! As a mother of five my favorite time of day is crawling into the (preferably just changed) sheets and just basking in the silence. Thanks for sharing your beautiful words with us. So lovely and so relaxing. You are a great writer. Wow, that really speaks to your heart....I love it! Beautiful poem, and something that I think most moms can relate to. Here from SITS. Great poem! They were right...you can make a gal relax just by reading! Wow! You certainly have talent. Wonderfully captured moments. Congrats on your day at SITS! That's my moment of Zen! Ha, I love that I was the first one to comment on this post when you originally posted it. Wow. I almost felt like I was intruding on such a private moment. 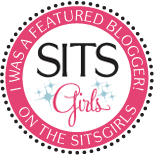 Enjoy the madness of being the featured blogger on SITS - I'll be following you. 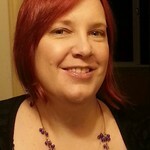 It's rare to find a blogger whose poetry is so engaging. definitely a more talented writer than me! Happy sits day! you write so beautifully. i love your "moment." Oh yes...those moments are precious and few. happy belated feature with SITS...I'm playing catch-up! I agree..simply lovely, thank you for posting.